A universal tripod to hand-phones, executed in the form of a telescopic tube. A phone is set to selfie stick through a special secure mounting, which is located at the end of the tripod. 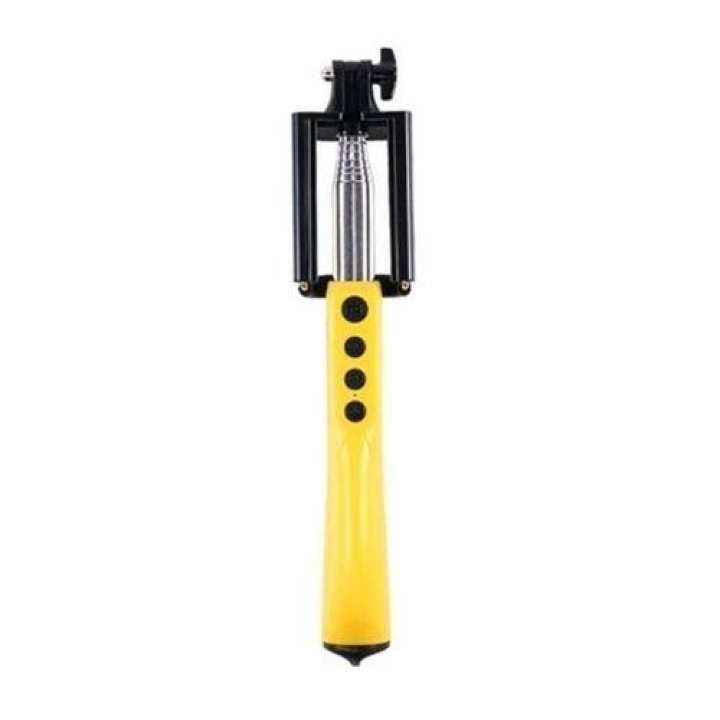 Telescopic monopod made of high-quality plastic compactly folded and can fit into a small bag. With self-stick, you can very convenient to do with the unique self-distance of more than 1 meter with non-standard angles that were previously only possible with a group! Self-stick, as it is popularly called, is an inexpensive but very original and useful device that will surprise with its ease of use. Moreover, it's a great gift for your friends and family who will be very useful when traveling on the holiday in ordinary everyday life!Your photos and videos will be unique!